The first time I ever visited the Flatiron District was on a chilly Fall night last November when I was in New York City over Thanksgiving break. My family and I had just come from having dinner at the Gramercy Park Hotel and as we wandered the city, we came upon the Flatiron District. I remember being astounded by the shape of the building and the way it was situated in the intersection. It truly stood out to me as one-of-a-kind. When we were asked to pick an area of New York City to study for this class, I immediately remembered the powerfulness of the Flatiron building and the effect it had on me and chose it to study. In my memory of the cold fall night in which I first encountered the building, it was a beautiful and romantic area. I couldn’t wait to learn more about it. When I began my research on the Flatiron District, I was so excited to learn that the area had been home to the “Ladies Mile” during the late 1800s and early 1900s. I leaned that Presidents Cleveland and Grant’s wives had frequented the area. As someone who is passionate about fashion, this excited me greatly. The area became more idealized in my head and I decided I would make time the next day to visit the Flatiron District. Follow this link to the website that helps keep the Ladies Mile alive and well as a historical district, which it officially became in 1989! http://www.preserve2.org/ladiesmile/. As I observed the area in the light of day for the first time, everything literally and figuratively came to light. The area was by all means modern in the way that just about every area of New York is. There were chain shops like Jamba Juice for example, but the streets also have a charm that is unmistakable. It stands out from Chelsea, the Upper East Side, SoHo, and many other places I’ve visited in NYC thus far. I could see the history in my mind. 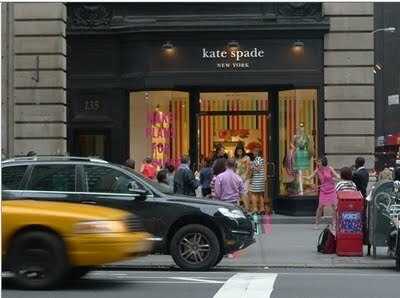 I could see fashionable women at the turn of the century shopping at Arnold and Constable, right around the corner from where Kate Spade is located today, a modern equivalent of the upscale stores that populated the Ladies Mile. All in all, the Flatiron District lived up to my expectation that were developed from the dark and chilly night in November. 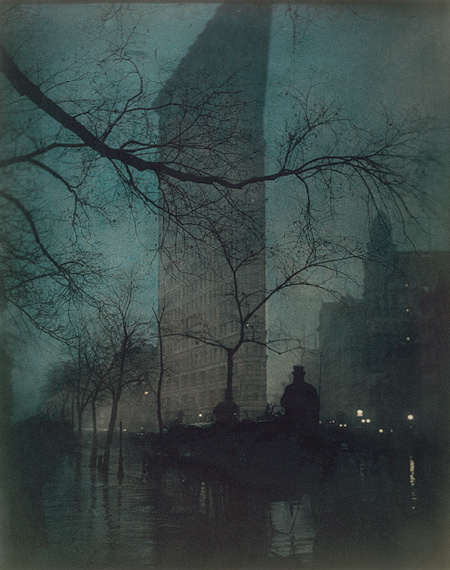 Edward Steichen’s famous image of the area romanticizes the building with the fog and dim light and it will forever be in my mind, a rose among thorns.